View cart “Ultra Lean Training Program” has been added to your cart. Daily Meal Planner is a web-based, customizable spreadsheet allowing you to create and manipulate your daily food intake to match your nutritional needs. 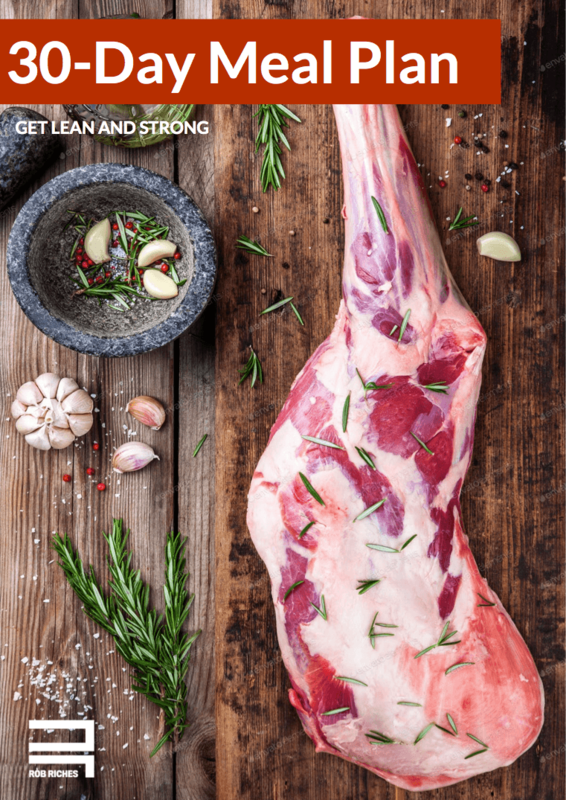 This meal plan has been developed to be used alongside Rob Riches Ultra Lean Nutrition Manual, allowing you to follow the 12-week meal plan based on your weight and macronutrient requirements. Includes PDF Meal Plan for both Meat & Vegan. Read the “Additional Information” tab below for a sample video, and instructions on use. 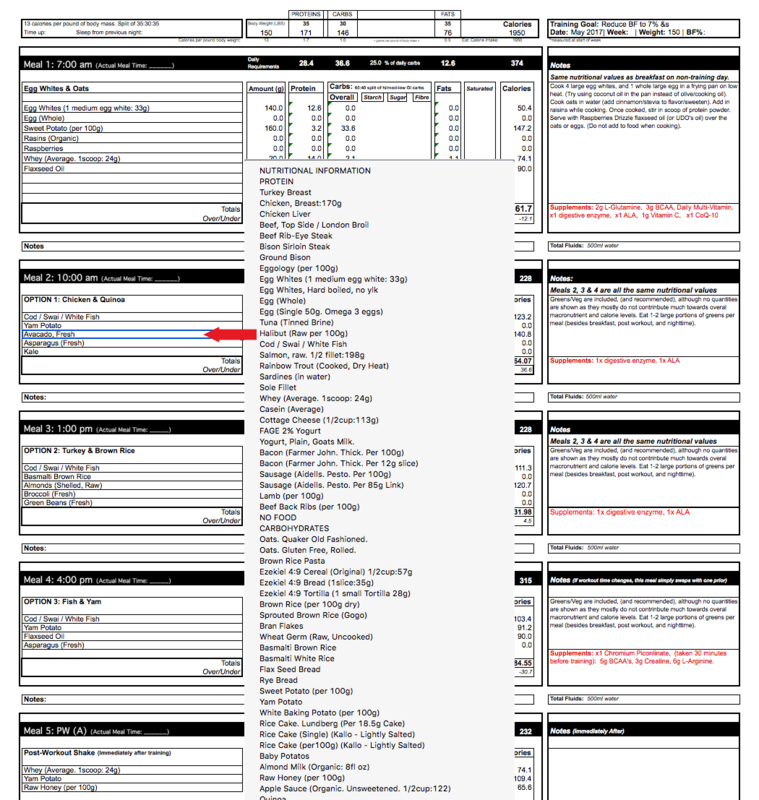 Upon ordering the ‘Ultra Lean Nutrition Planner’ you will receive an email confirmation confirming payment. Our Support team then processes payment and usually sends email confirmation within 12 hours along with the download file. By purchasing this product, you are agreeing to follow copyright regulations and will not share this file with anyone else, or upload it to the internet or any website. This current program is only compatible on desktop computers to be able to change and create meal plans, although it can be viewed on other mobile devices. Monitoring food intake, ensuring you are eating enough of the right foods, and regulating your macronutrient levels each day, is one of the best ways to establish your nutritional needs and gain control of weight loss and muscle building efforts. If you’ve ever tried monitoring your food intake by writing down everything you eat, or by following a meal plan written by a friend or downloaded from some website, you’ll know that all may go well until it’s time to change something. Maybe after several weeks of eating the same things you want to substitute a food or meal for something different. You may also wish to lower or increase your daily calorie intake based on training and rest days, or allow for low and higher carb days depending on your diet and training. 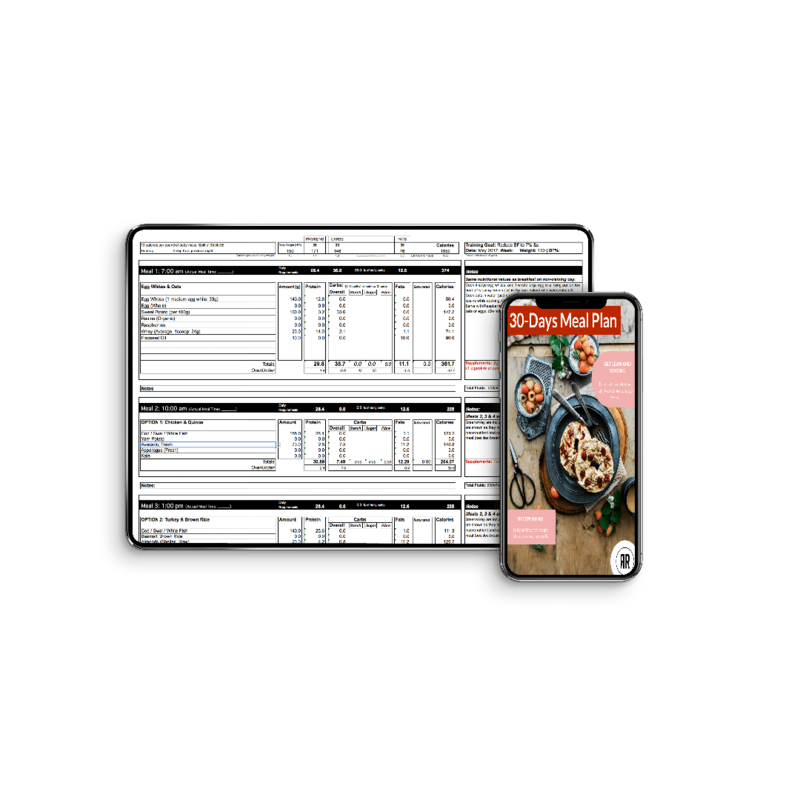 Whatever your diet and training needs may be, this Nutrition Planner will allow you to build and maintain your own customized daily meal plan. Upon purchasing the Daily Meal Planner, you will receive an email confirmation with an access code that can be used to view the spreadsheet within this website. 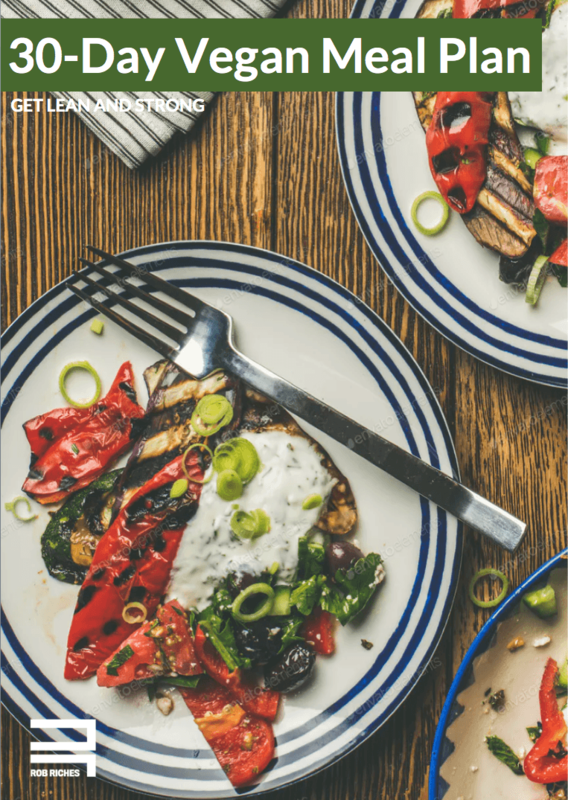 (The 30-day meal plan (and vegan option) overview will be provided as a PDF download. It will allow you all the functions to create and change your own meal plans, and be continually updated by admin with further features, such as various meal times, new ingredients and recipes, plus a request tab for any requested foods to be added.